After what I would classify as a fairly aggressive bachelorette weekend, all I'd like to do right now is wrap myself in my snuggie and force my dogs to snuggle with me on the couch. They're going to need therapy. 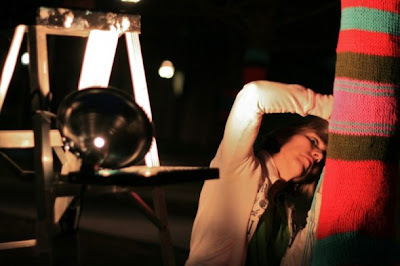 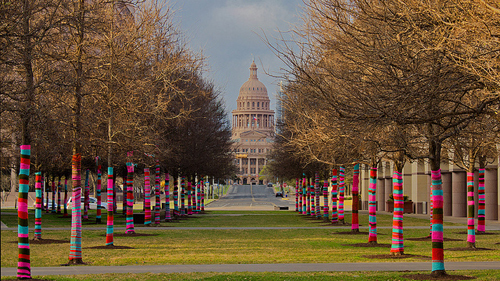 Anyhoo, I stumbled across these pictures from an art installation in Austin will be up through March 25th, and the images are somewhat soothing to someone in my condition. 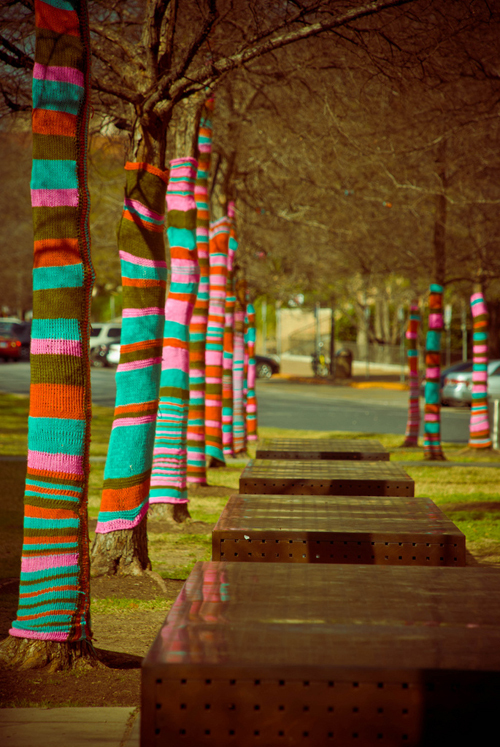 The artist, Magda Sayeg covered 99 trees in front of the Blanton Museum with knitted trunk cozies in what's being called the "Knitted Wonderland". 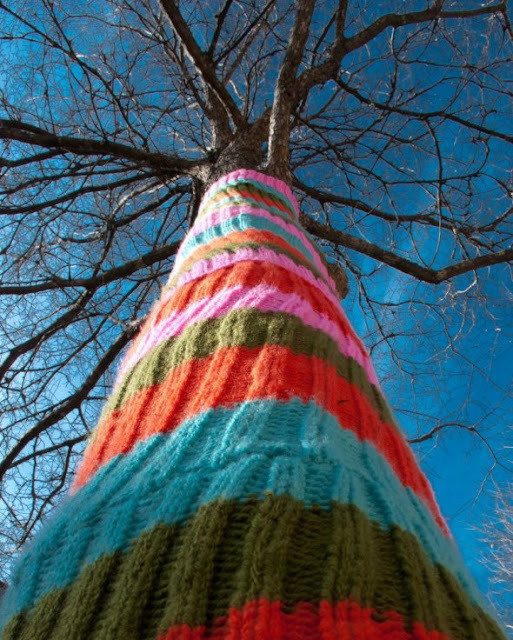 Tree snuggies just seem right today.